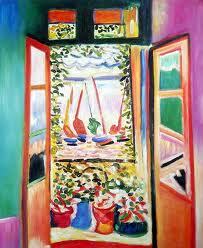 Henri Matisse (1869-1954) is one of my favorite artists. 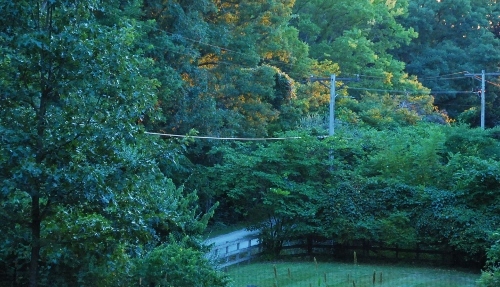 I like the happy bright colors and the pastoral scenes of people frolicking in meadows. 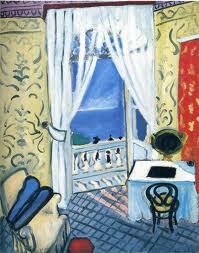 Appreciating Matisse is very easy. I find “new” art harder to sift through to find (according to my personal tastes) what is good and pleasing. Art (approximately)pre-1950 has been pre-sifted. And is packaged up nicely in art history books and easily searchable in google, because the dead artists who painted very well are famous. So much “good” art has already been created. Why bother for looking for the new things people are creating? HAhahahahah I (sort of) jest, but have an example to illustrate how utterly complicated it can be to approach the works of my peers. 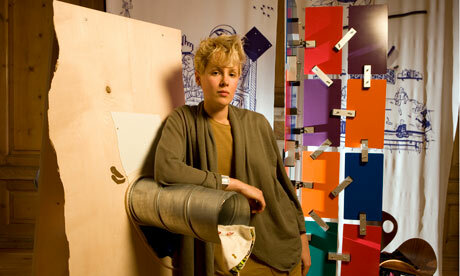 “Sculptor Richard Wentworth is quite clear why 24-year-old Helen Marten is a young artist to watch: “I admire her sureness, fearlessness and lack of hubris,” he says. “It is complicated for her generation [Wait, what’s complicated?]. It is as if they were in a ludicrous souk [Am I in a ludicrous souk?]. But she is like a fantastic tourist: intelligently acquisitive, yet editorially selective. She is a brilliant fossicker…She introduces me to a sculpture that invokes George Nelson, father of American modernism, made of “slick, sleazy powder-coated aluminium”. She describes it as “at once corporate and semi-baroque” and “anchored” by a white PVC tailored suit jacket that is “seedy and flaccid”. Hmmm…”Sleazy”…“Flaccid”…”Fossiker”…I fear we are teetering on the edge of a PG rating here, so let’s get back to Matisse. My husband just made and installed this half-door. This post was also going to involve the merits of half-doors and “why aren’t these sort of doors more popular?”. 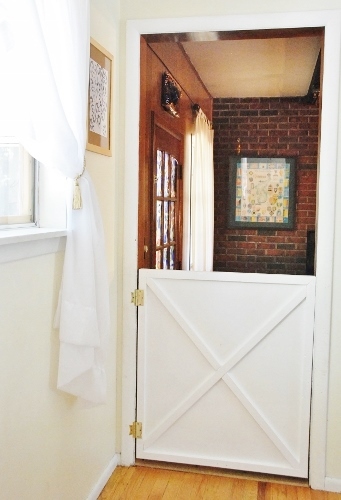 But I am well beyond 300 words (I’ve pledged to write 300-1000 per day for 100 days, that is why this post is numbered nineteen) so I’ll save the merits of half-doors for another posting. 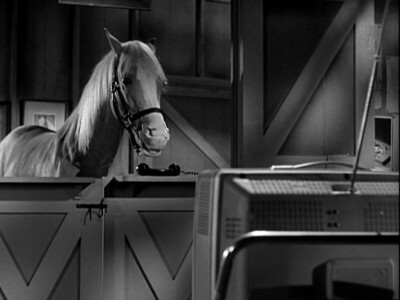 It is going to involve Mr. Ed. This is one of my favorites. Because I really appreciate a good view out of a window. Just because you don’t see sailboats on the Mediterranean out your window doesn’t mean you can’t appreciate the view in the “manner of Matisse”. Easy, pretty and uncomplicated are so underrated in contemporary art. I think Matisse would agree. 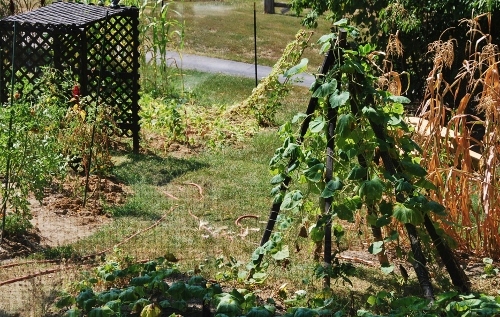 This entry was posted in Art, Food, Garden Teepee, Gardening, Humor, NYC, Painting, Photography, postaday, Sculpture on September 8, 2013 by Spy Garden. What is a souk, fossiker? is that the art history presenter, is fossiker something of a fossil collecter? 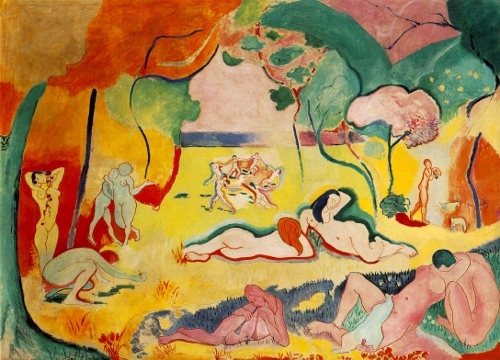 – The Matisse nudes were likely something of a play on Renoirs, and Cezanne’s nudes in landscapes, talked about at the time he made his garden pic.